The company also makes it clear that it’s acting on its community standards, “which cover things like hate speech that attacks or dehumanizes others.” Apple also cited “hate speech” when it banned InfoWars podcasts yesterday. Jones, who reportedly makes as much as $18 million a year selling diet supplements on his website, could face a huge shortfall in his viewership if the Facebook decision becomes permanent. 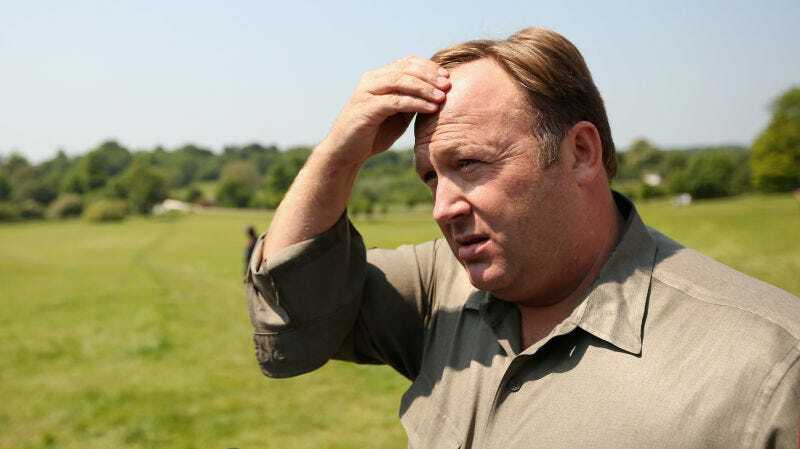 Without Apple and Facebook, Jones could see his empire begin to crumble, despite still being present on platforms like Twitter, where he’s amassed over 820,000 followers. Gizmodo has reached out to Facebook and InfoWars for comment about the decision to “unpublish” the pages and will update this article when we hear back.